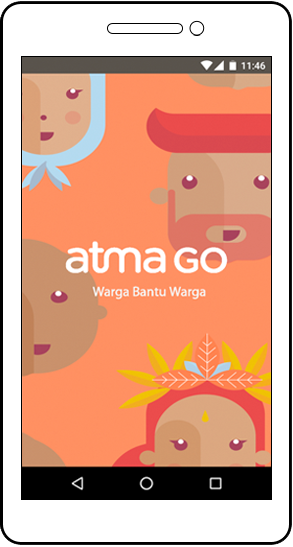 We launched AtmaGo in Indonesia as a free mobile-friendly website, which made it accessible on phones, computers, and tablets. 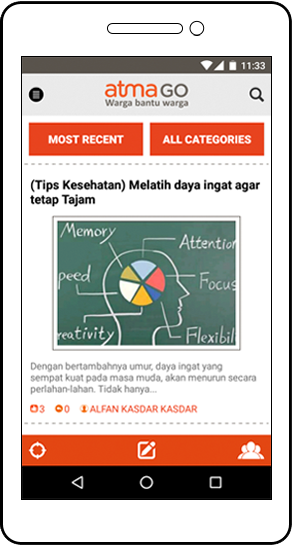 AtmaGo is also now available as a mobile app for Android phones. AtmaGo allows users to read, write and comment on posts in four categories: Report problems, Discuss solutions, Find a job, Share events. Users in select locations can receive emergency alerts to help them respond to and recover from floods and other disasters. The user-created posts are associated with a given city or neighborhood and may contain photos, text, and formatting. Users can comment on posts and flag them, and vote posts up or down. 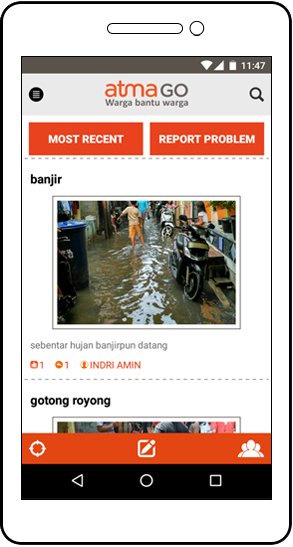 When a user visits AtmaGo, they get access to user-generated posts from their neighbors about problems, solutions and opportunities in their local area.